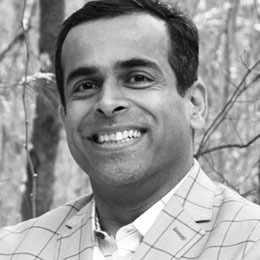 Jeevak Badve brings energy, passion and curiosity to his role as VP at Sundberg-Ferar, a full service industrial design studio supporting the product and vehicle industries from its metro Detroit location, since 1934. He helps companies to understand and leverage the fundamental role of industrial design thinking; usefulness, usability, ergonomics and aesthetics as unique and compelling differentiators in products, to aid the sustainable growth of business; by planning for the entire range of use-case scenarios and designing for the ideal user experiences. With his unique blend of design, engineering and business education and experience, Badve relentlessly rallies for the alignment and optimal inclusion of end user’s un-met needs, unspoken wants and unarticulated desires in the core value proposition offered by the portfolio of products-and-service deployment, to generate the much sought-after shareholder value. No matter what, the promise of a brand has to be squeezed into the product itself and the product has to be carefully designed to invoke the intended positive emotions from the end user. He has 22 years of work experience, seven years in India at Tata Motors ERC, Tata-Johnson and Voltas M&H and 15 years in the US at GM Design Center, ASC and now SF design studio.